Audi’s arsenal of supercar humiliators disguised as daily drivers has been steadily growing. We drove the RS4 and the RS6, and this “Really Sick or Race Spec” version, whichever way you feel like to call it, have nothing in common in terms of the driving dynamics it provides against its lesser siblings; the A4 and the A6. The A7 has been a swan in the fleet, it’s graceful eyes and rather nice rear end was a pleasant surprise when it was introduced. Then Audi decided that a crazier version, called the S7, would amplify its stance with substance, not that the A7 V6 lacked any. But now with the utterly ridiculous RS7 version along with 560Hp and 700Nm of torque, has Audi finally lost their minds? Oh no, not at all. 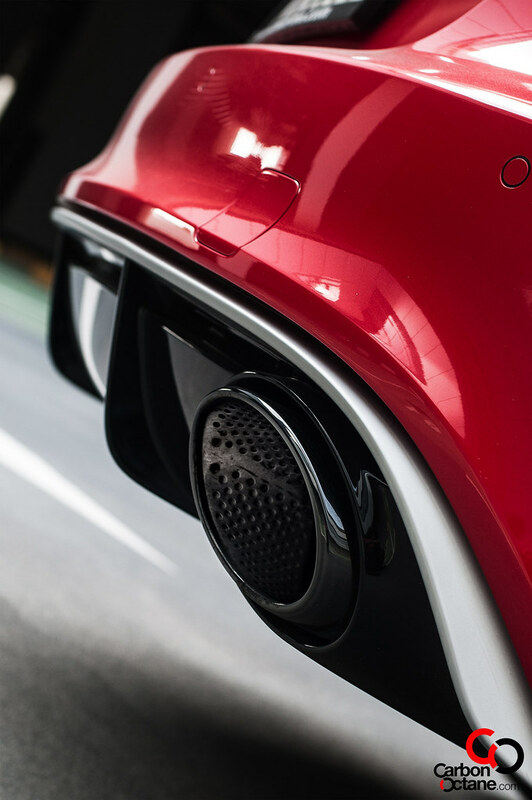 Audi has been listening to its followers, and frankly speaking; what do we all want from our cars? We want power!!! Give us bucket loads or in this case Audi has delivered in truckloads. The numerous battle stories between the Audi RS6, BMW’s M5 and Mercedes-Benz’s E63 AMG’s has made them legends. They are beefier in looks and strength and each model enjoys their own cult followings. These three German bruisers have also weakened the nerves of many other European and American sports cars and supercars. 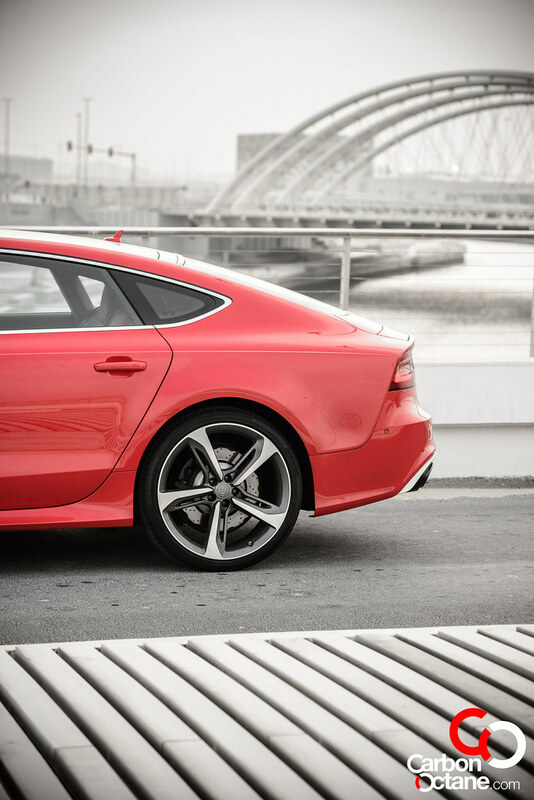 But where does the RS7 stand? We think that it is more akin to Maria Sharapova than Venus Williams. Both are leaders in their sport but one shows more class, if you get my drift. 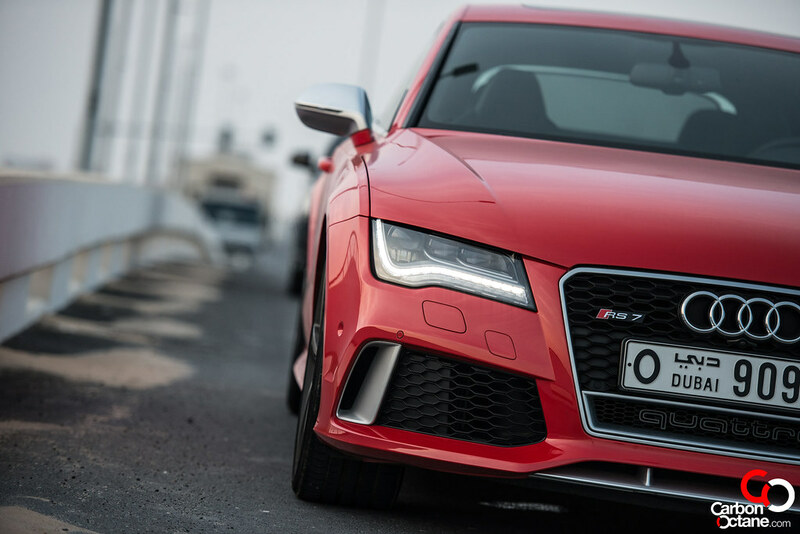 Unlike the brawnier RS6, the RS7’s body is the same as the A7 and the S7. The front bumper, rear diffusers and exhaust ports are the only signs that gives away it’s carefully camouflaged image. 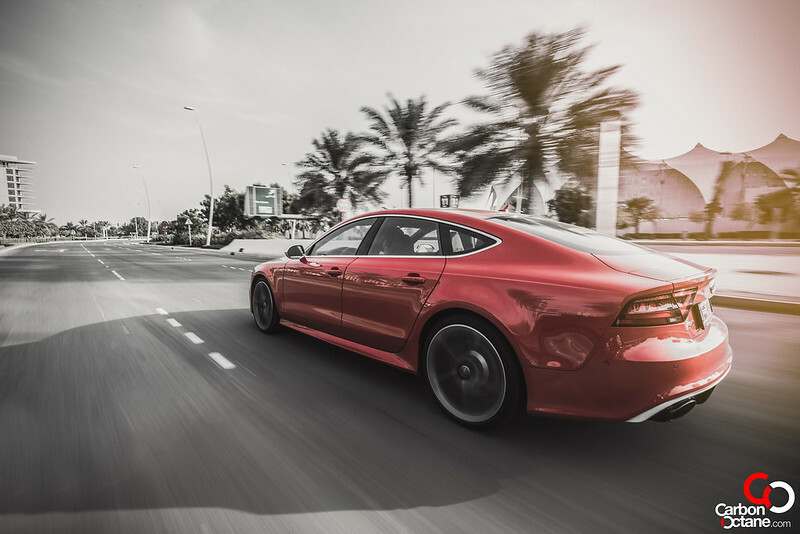 The RS7 shares the same twin-turbocharged, 4.0-liter V8 engine as the RS6 and always ready to dispel all of its 560 horsepower and 700Nm of torque with just a twitch of our right foot. 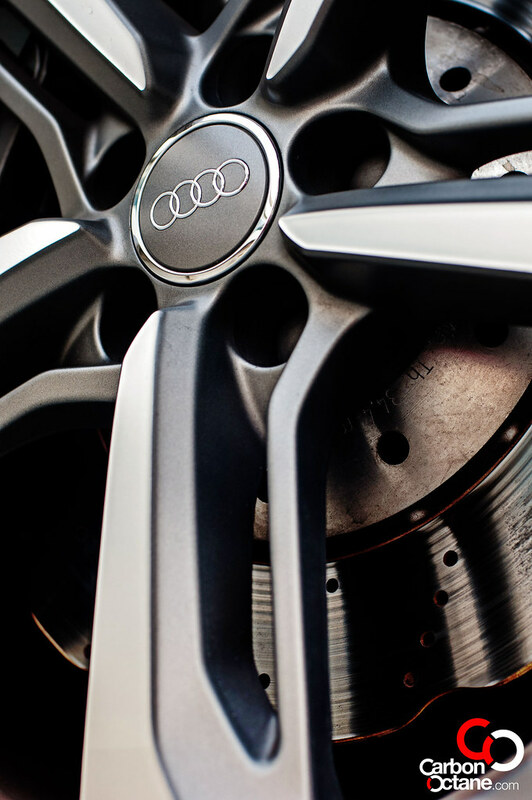 The power is as always delivered precisely to the ground by Audi’s venerable Quattro system. As a result it almost takes flight and reaches 100kmph in 3.9 seconds. 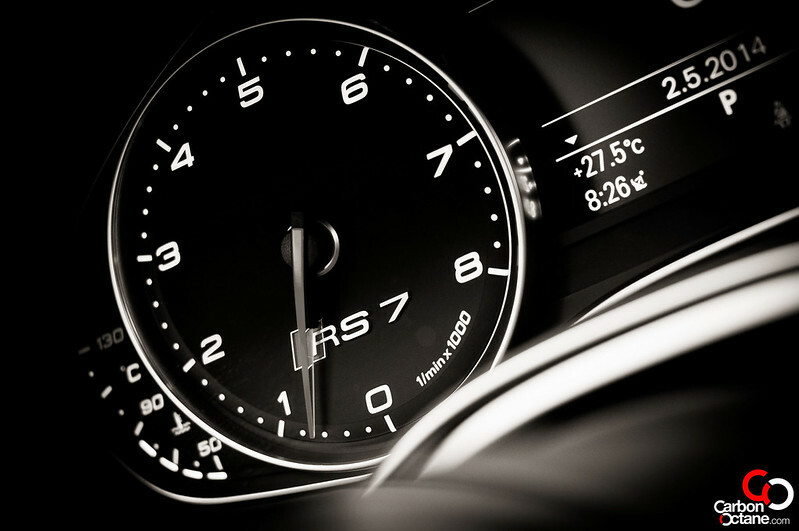 This is faster than the R8 V8. The RS7’s infinite grip made it easy to flex through some pretty aggressive corners a simple point and shoot chore. 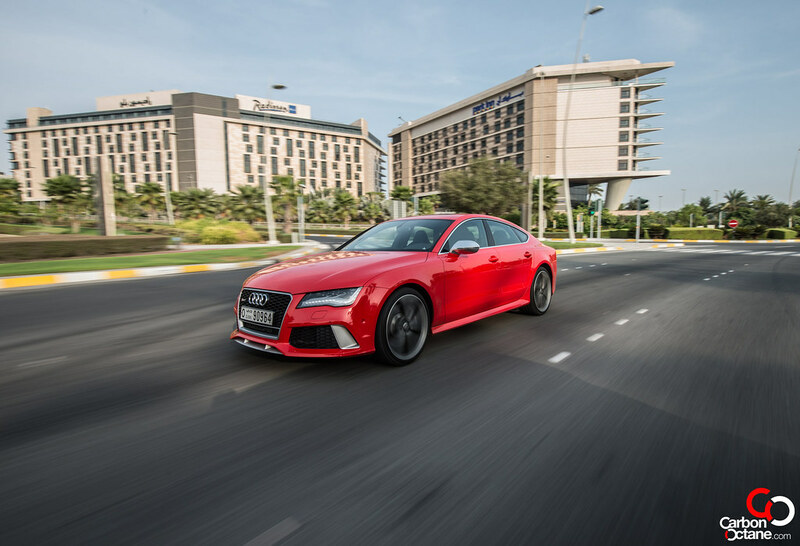 The RS7 is a heavy car, and it does need a little pat on its head aided by its quick steering response to bring its nose pointing towards the exit. 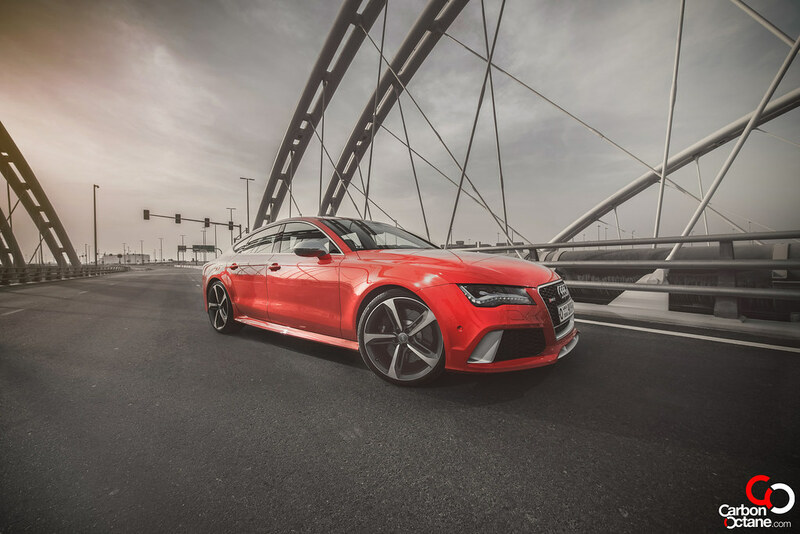 As with the RS6, the RS7 offers very little steering feedback but that does not hinder it in any way in finding the fastest route out of any chicanes or bends. 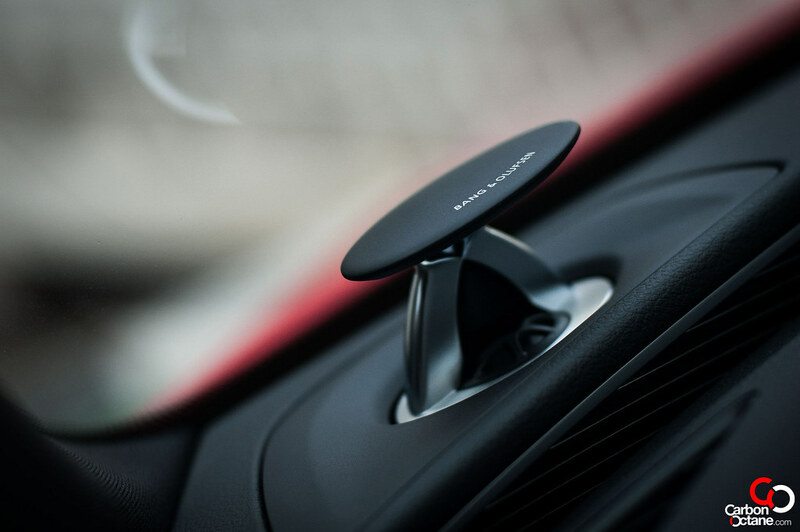 It’s practical too. The trunk space is generous and would fit all the traveling gear one would need for a weekend trip or those numerous shopping bags when the missus indulges in their retail therapy. 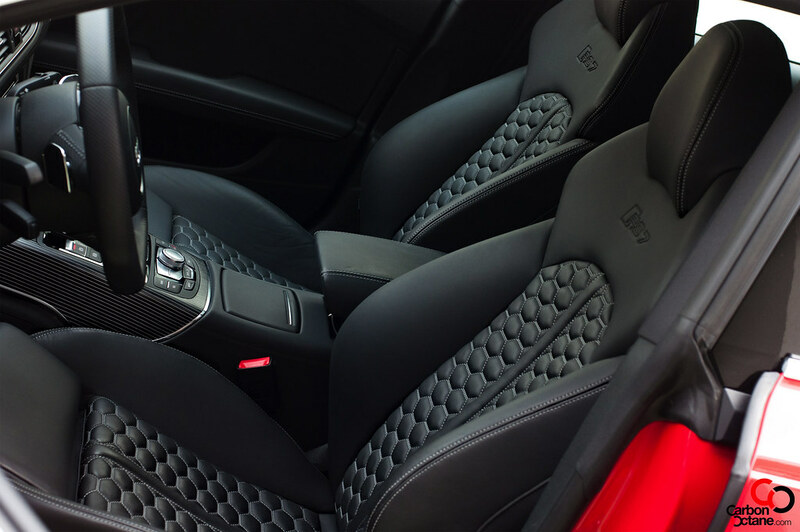 The interior is very similar to the RS6 with its diamond pattern quilted stitches on the seats. 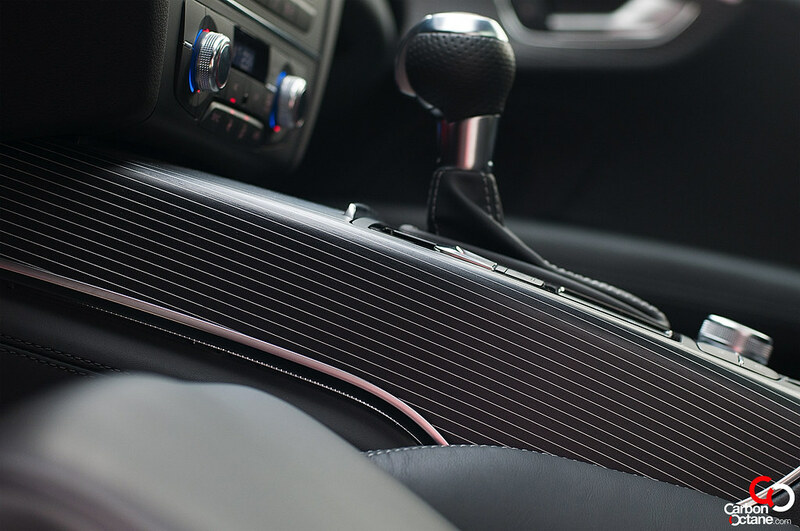 Our tester did not come with the carbon fiber package option but the black wood and its pinstripe aluminum inlays hinted at its fashionista attributes. 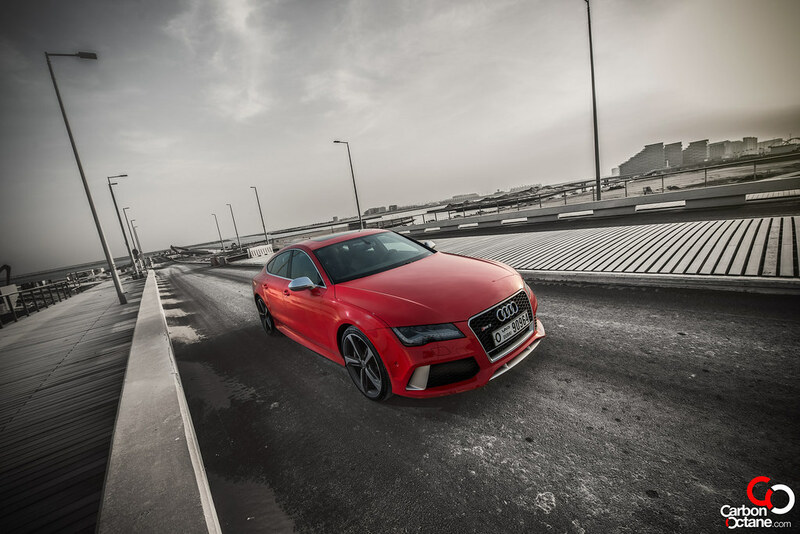 I had to drive the RS7 and the RS6 back to back just to understand whether Audi had injected the same DNA in each. But there are subtle differences between the two. 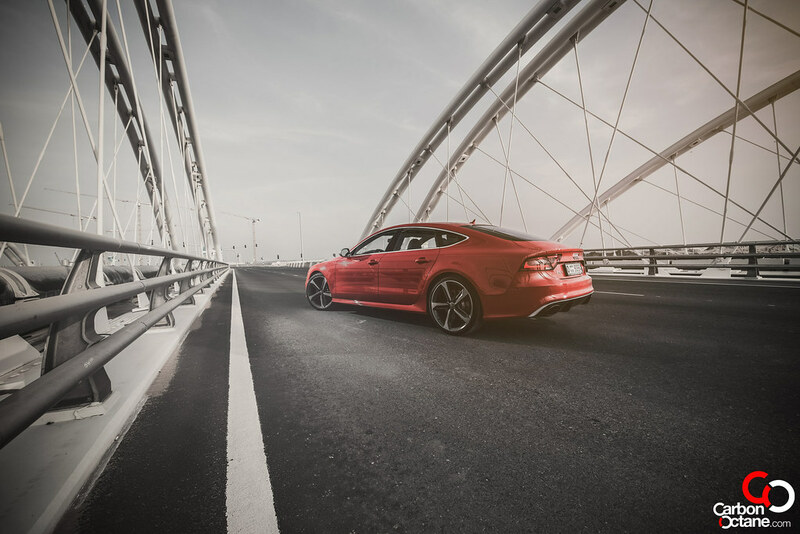 The RS7, even with the suspension on Dynamic mode is cushier on the road than the RS6. 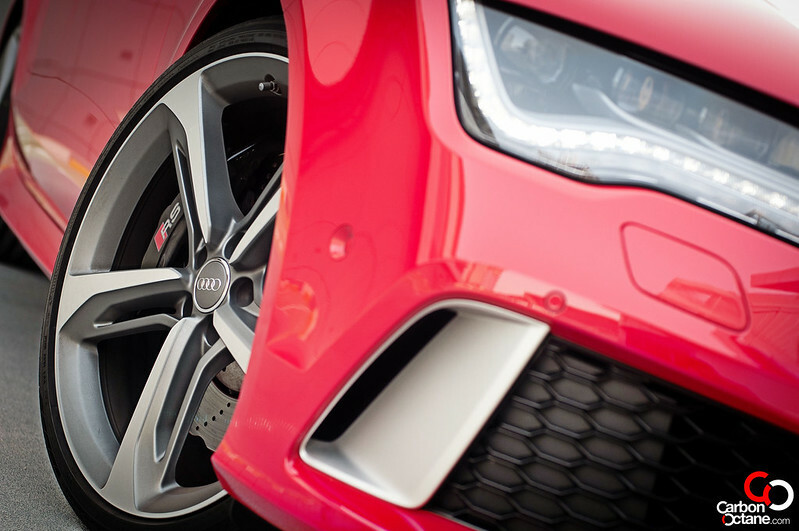 The power delivery is the same but where the RS6 tends to bite the RS7 nibbles. It’s quite interesting. My personal favorite over the two would be the RS6 but I can see a lot of my friends and colleagues enjoying the RS7 more. 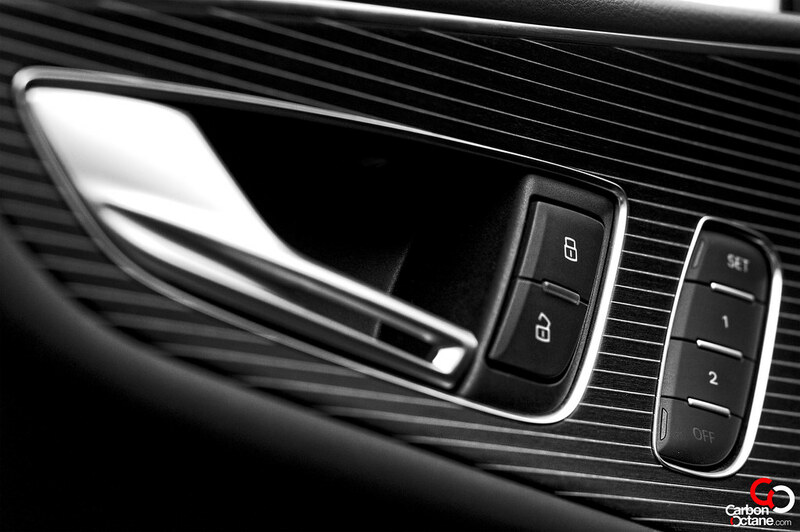 In that, Audi has been able to differentiate the two models. 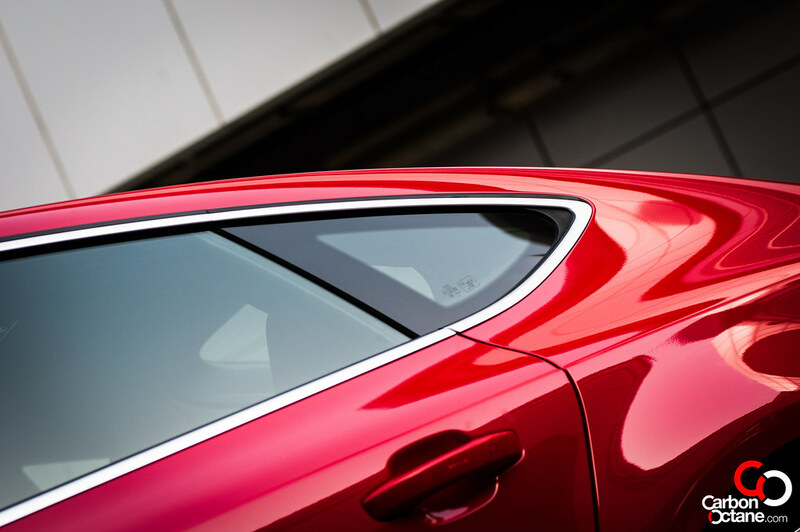 The RS7 is another successful execution in Audi’s definition of a family super car. I would like to stress that once you do test one out or be fortunate enough to buy the RS7, please do drive through a tunnel, put the exhaust on Dynamic Mode, roll down the windows and throttle hard. You would be blessed with an exhaust note that it almost orgasmic.